Hey Guys, In an effort to help spread the word about Terry Maas’s Freedive recovery vest, I am dedicating a webpage on the MAKO site with a link to his site. I first met Terry about 15 years ago while blue water hunting in the Outer Banks. For those who don’t know Terry, he is considered by many to be “FATHER OF SPEARFISHING”. In addition to being an accomplished blue water hunter. Terry is an accomplished author and recently re-released his hardback book “BlueWater Hunting” in eBook format, complete with photos, videos and how to instructions. However, his most notable contributions to the freediving community is the development of his “Freedive Recovery Vest”, designed to do one thing… SAVE LIVES! Each year, we lose too many guys to shallow water black out. The Freedive Recovery Vest prevents these senseless drownings, by catapulting the diver back to the surface in the event of a blackout. The Freedive Recovery Vests are very low profile, affordable and most importantly, they can save your life. If you have loved ones who are counting on you to come home from your dive. You owe it to them to wear it. Thanks guys for taking time to read this. Please click on the link below and head over to Terry’s site. The Freedive Recovery Vest (FRV) allows a diver to minimize risk of shallow water blackout by programming a max time and depth for a single dive. I invented and developed the Freedivers Recovery Vest to save lives. After 15 years and 4 major revisions, we are now helping save freedivers lives, but also the US military as well. At least twice a year I receive a contact from a bereaved relative whose loved one just drowned from freediver blackout. The common thread in these messages is, “I wish my son was wearing one.” This is insurance that you must obtain before your need it. The insidious nature of so called shallow water blackout is there is little if any warning before it strikes, leaving the diver defenseless as he sinks to his death. At Oceanic Safety Systems, we endorse professional freedive training, and use of the buddy system. 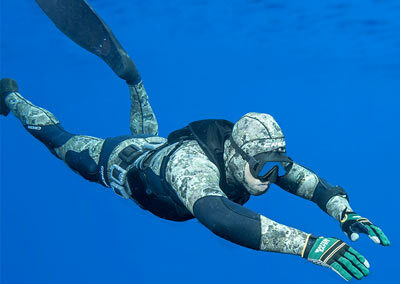 Still, no training or precaution is absolute, especially in the spearfishing arena. Please consider the purchase of an FRV to enhance your safety. This third-generation Freedive Recovery Vest (FRV Mark 3 Streamlined), is designed for breath-hold divers. 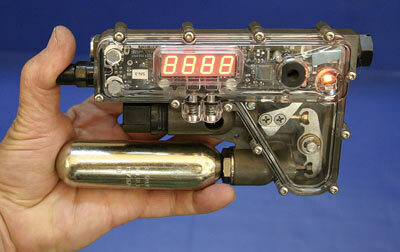 It allows you to program your maximum time and depth for a single dive. Should you exceed either time or depth trigger, the vest will inflate delivering you face-first to the surface. 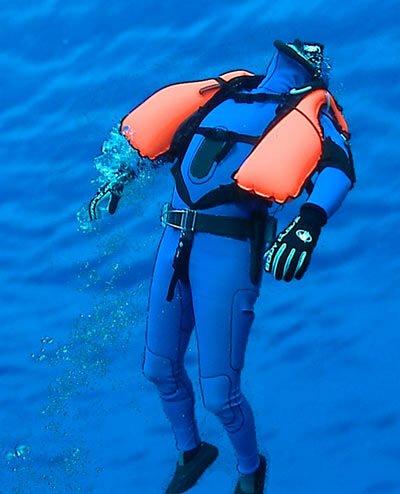 In addition, the vest can be configured for at the surface you must acknowledge you're conscious at the surface after 15 seconds and also protect against Early sink out. Approved by the Travel Safety Administration (TSA) for air travel for carry-on or checked luggage. Remote light/button on arm band informs user and the button can be used to trigger inflation. The Freedive Recovery Vest is designed to be streamlined, easy to wear, and makes a bubble-less entry into the water. You set it like an alarm clock. Decide on the maximum depth . When you reach that exact depth, the unit will inflate. Similarly, set the maximum time you feel safe under the water. You may choose the Surface Minder option, which is designed to protect against surface blackout. The remote light, fitted snugly to your arm, will light steady for the first 15 seconds after you reach the surface. During the next 15 seconds it blinks. Pressing the remote button anytime during these 15 seconds disables the unit and allows for your next dive. Failure to press the button will cause the vest to inflate. I'm a safety-conscience diver, and I'll tell you that I whole-heartedly trust the FRV's capability. I'll attest that it becomes second-hand nature to set up and care for the FRV after just a few uses. And its life-saving potential is real. George A. Hierro, Major, U. S. Marine Corps. Colleen Gallagher recalls: Another contraction came. "One more second", I said to myself and then I will ascend. “I feel good and not fatigued, actually very relaxed”, I thought. Then there was a "pop" sound and hiss, I knew exactly what that was. My FRV was going off, because I had set it to bring me up to the surface if I exceeded 1 minute and 20 seconds. An agreement I made with myself before I entered the water. I knew I had actually achieved a longer breath hold in my FII class but I had decided that those settings would be my comfort level to ascend safely to the surface. As the FRV proceeded to inflate and quickly swept me up to the surface, I was frustrated and appreciative that it was looking out for my well being. I obviously was not doing a very good job of that, I was distracted by fleeting tunas and eager to land a shaft in one of them. I am glad I had my FRV on and the forethought to set safe limits for myself. I have full confidence in my vest and all of the "test" activations have gone perfectly.